Explore the art, history and culture of African Americans – with an emphasis on California – at the California African American Museum (CAAM). CAAM houses a permanent collection of more than four thousand works of art, artifacts and historical documents along with a public accessible research library containing more than twenty thousand volumes. Performances , conversations, art workshops, film screenings, family programs and other public events enhance your visit and admission is free! Visit www.caamuseum.org for more information on what’s happening at CAAM. 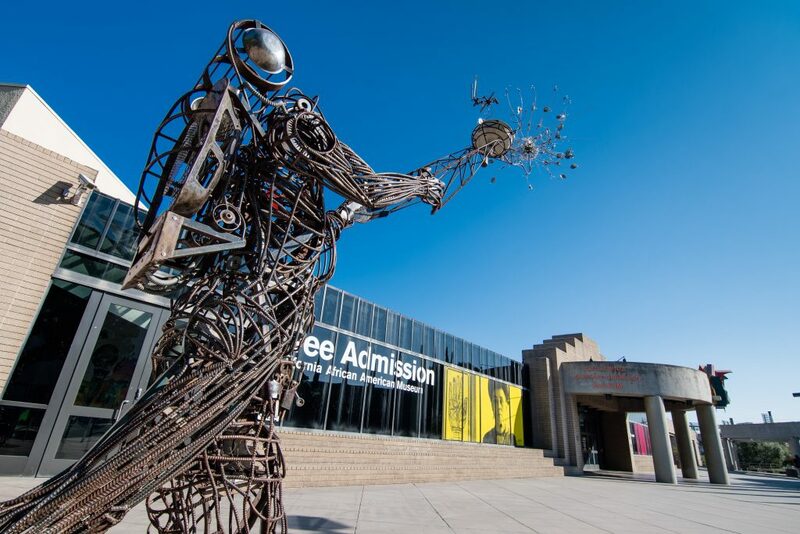 The California Science Center is a dynamic destination where families, adults and children can explore the wonders of science through interactive exhibits, live demonstrations, innovative programs and awe-inspiring films. Embark on a journey of discovery as you explore over 150 interactive exhibits in our galleries including Ecosystems – a free permanent gallery featuring live animals, seven immersive exhibits and a 188,000 gallon kelp tank. Complete your visit by seeing the Space Shuttle Endeavour in the Samuel Oschin Pavilion. See the orbiter up close and discover the science behind this amazing vehicle. Visit the California Science Center’s website for more information on tickets and exhibits. 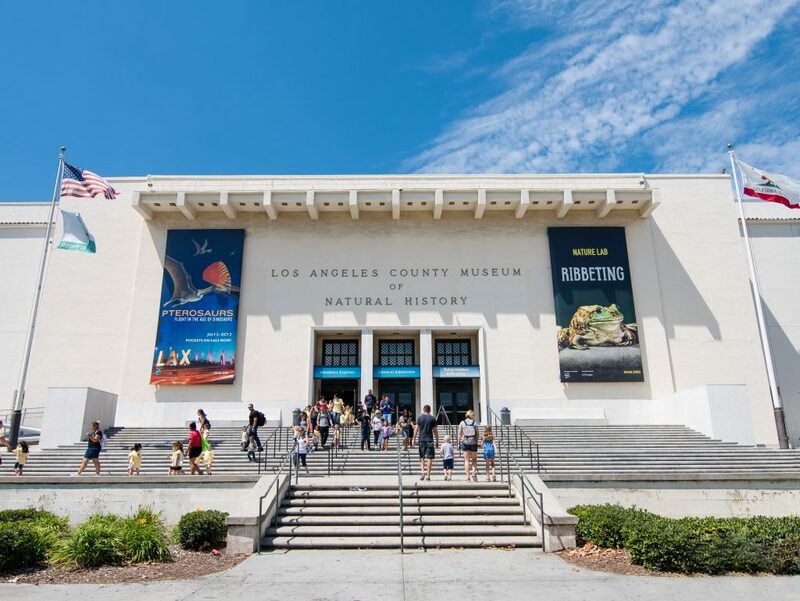 At the Natural History Museum of Los Angeles County (NHM), discover your world past and present. Be amazed by over 300 real fossils, 20 complete dinosaurs, ancient sea creatures and the world’s only Tyrannosaurus rex growth series in our award winning Dinosaur Hall. Journey through the epic evolutionary story that spans millions of years in our Age of Mammals exhibit and grand diorama halls. Stroll through our 3 ½ acres of urban Nature Gardens and get hands-on in our Nature Lab, where you can come face to face with live critters. Marvel at one of the world’s most impressive collection of gems and minerals and then learn ow Southern California went from a tiny pueblo to a sprawling metropolis in Becoming Los Angeles. Experience why NHM is more than your typical natural history museum. Visit NHM’s website for more information on events and current exhibits. 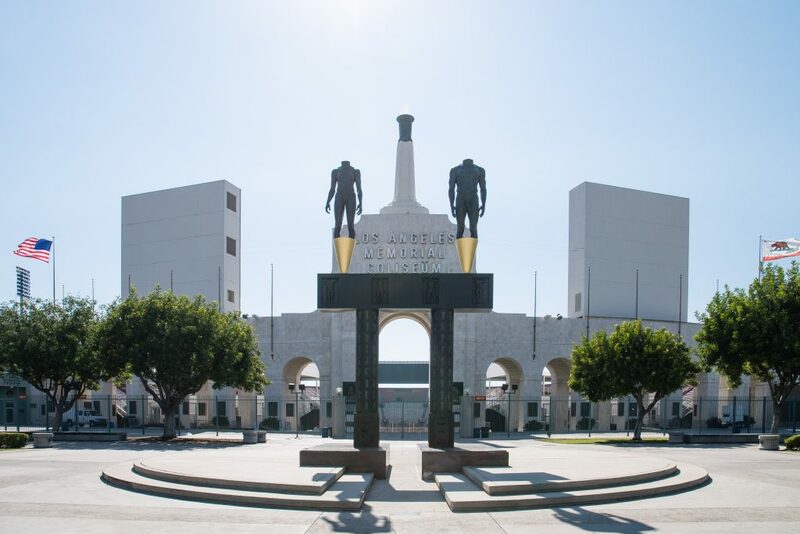 Known as “The Greatest Stadium in the World”, the Los Angeles Memorial Coliseum, a living memorial to all who served in the U.S. Armed Forces during World War I, has been a civic treasure for generations of Angelenos. 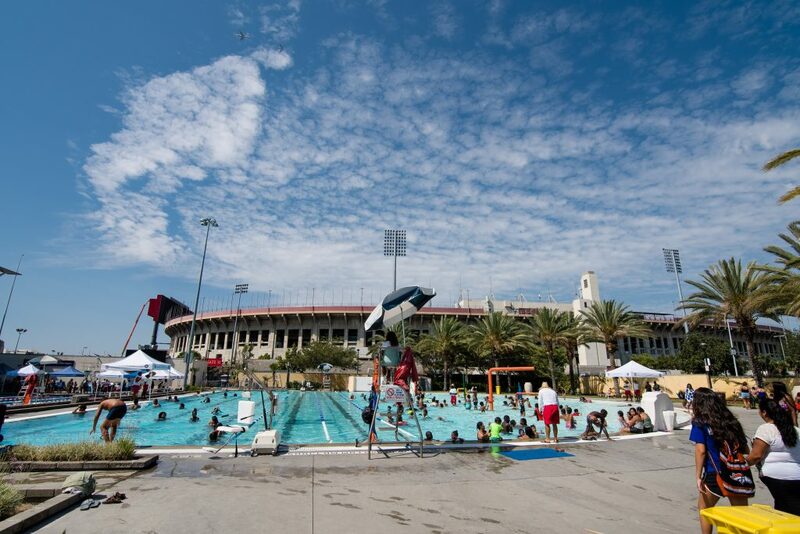 The legacy of events and individuals hosted in nine-plus-decades reads like no other: the only venue to host two Summer Olympics (Xth Olympiad in 1932 and XXIIIrd Olympiad in 1984); home to college football’s USC Trojans since 1923 and the UCLA Bruins (1928 – 1981); professional football’s Los Angeles Rams (1946 – 1979 and 2016 – 2019), Raiders (1982 – 1994) and Chargers (1960); hosting three NFL Championships and two Super Bowls; home to the Los Angeles Dodgers (1958 – 1960) and the 1959 World Series; appearances by U.S. Presidents Franklin D. Roosevelt, Dwight Eisenhower, John F. Kennedy, Lyndon Johnson and Ronald Reagan, as well as international dignitaries such as Martin Luther King, Jr., Cesar Chavez, Pope John Paul II and Nelson Mandela. From Mick Jagger, to the Harlem Globetrotters…from the Grateful Dead to Billy Graham, Evel Knievel and Pele, the Memorial Coliseum, named a National and California Historic Landmark in 1984, has been the stage for the unbelievable, the unforgettable, the iconic and the best in human endeavor and achievement. 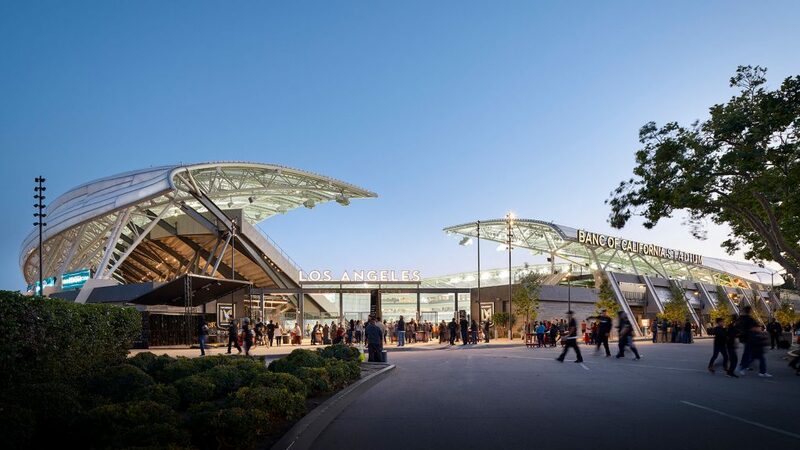 Home to Major League Soccer’s Los Angeles Football Club, the 22,000 seat state-of-the-art venue provides fans and patrons the ultimate experience for entertainment and events. Opened in 2018, the Stadium is the first open-air stadium built in Los Angeles since Dodger Stadium in 1962 and replaced the historic Los Angeles Memorial Sports Arena. 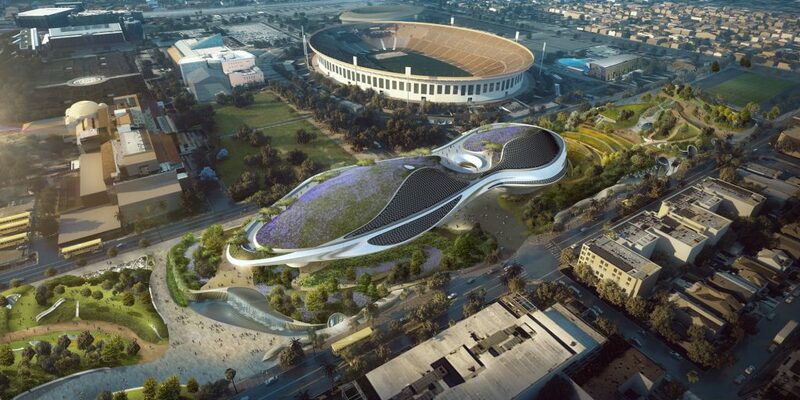 The Stadium represents more than $350 million of investment into Exposition Park and South Los Angeles, bringing thousands of additional jobs and economic activity. Learn about the venue, see a calendar of events and more on their website. 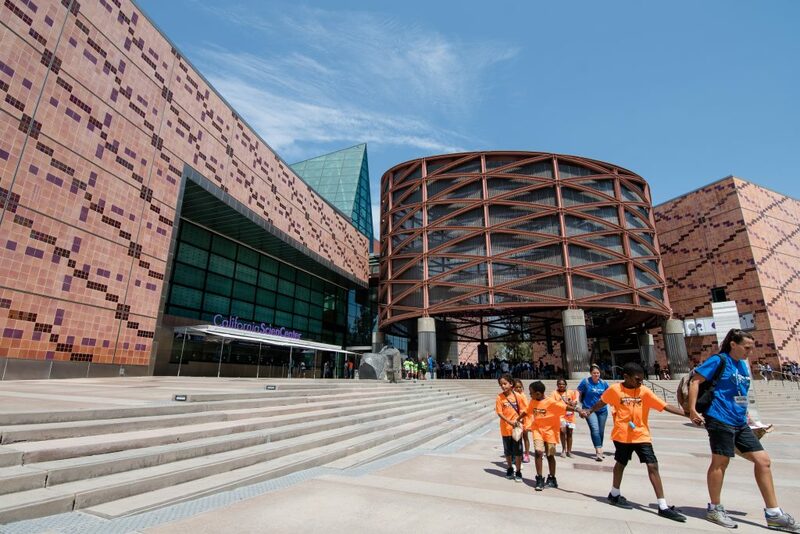 EXPO Center is the largest recreational facility in the city and county of Los Angeles and is dedicated to offering unparalleled recreational, educational and cultural programs for services for every member of the family. Managed by the City of Los Angeles Department of Recreation and Parks and supported by the Friends of EXPO Center, EXPO Center is an oasis that aims to promote healthy families and communities. Visit EXPO Center’s website for more information. 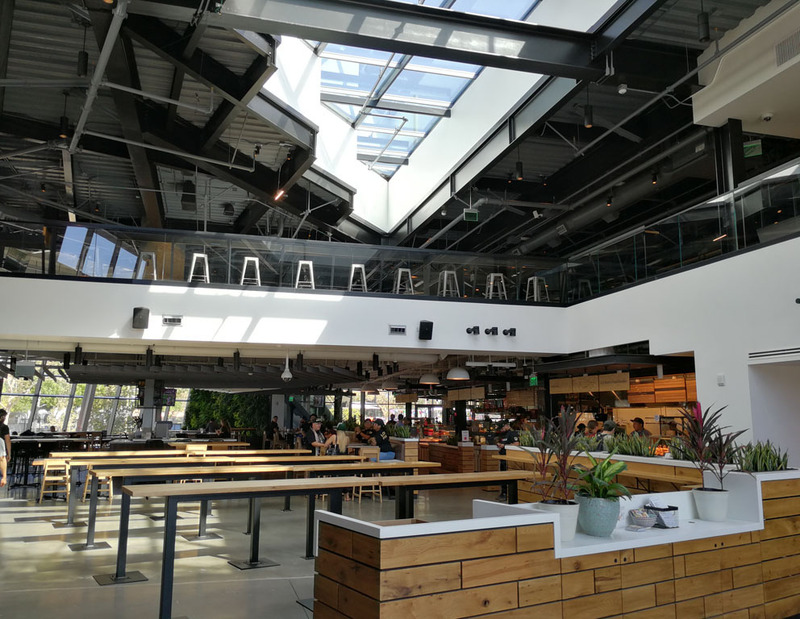 The Fields LA, a stylized urban culinary destination featuring award-winning chefs and restaurants, is located adjacent to LAFC’s Banc of California Stadium. A three-floor space, the dining complex houses separate concepts to provide distinct dining experiences. The Fields LA consists of nine different vendors serving a variety of cuisines and an outdoor patio for beer and cocktails. What’s upstairs? Chef Tim Hollingsworth is bringing nostalgic American classics to the heart of Expo Park. Catch the game or play your own on our collection of vintage arcade games. With a menu focused on elevated bar fare, craft cocktails and beers, at Free Play you can come early and stay late. Above it all, there’s a stunning rooftop event terrace that offers sweeping views of the Downtown LA skyline. Learn more and see menus on their website. The Lucas Museum of Narrative Art will celebrate and explore the extraordinary power of visual storytelling. People from all walks of life will come together to experience and be inspired by compelling, original works of narrative art from around the world. The museum’s collection will strive to provide something for everyone by presenting a wide range of paintings, illustrations, comic art, digital art, photography, along with an in-depth exploration of filmmaking (including storyboards, costumes, animation and visual effects). This iconic 21st century museum will feature collection galleries and exhibition spaces, daily film screenings in two state-of-the-art theatres, café and restaurant, eleven acres of new park space and gardens, along with underground parking. The museum will offer exceptional educational programs, classrooms, and a publicly accessible research library to enable people of all ages to learn more about the art visual storytelling. Construction of the Lucas Museum is underway and is expected to open to the public in 2022.